Internship versus Externship: What’s the Difference? 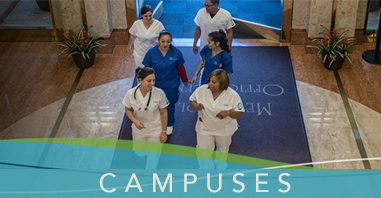 The nine-month Dental Assistant program at Unitek College covers a wide range of job responsibilities. 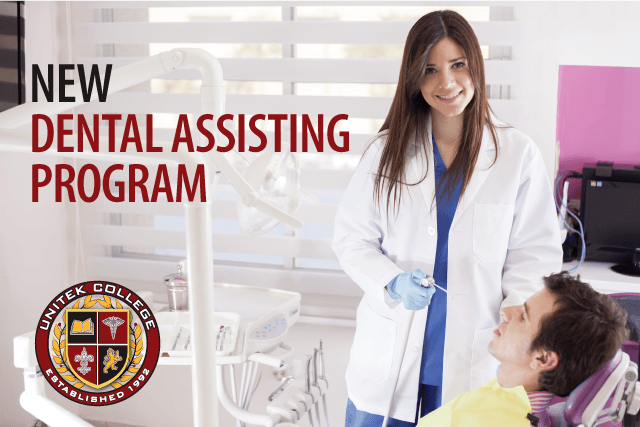 Not only will our students be able to learn chairside assistance during dental procedures, but they can also leave with a full understanding of dental radiology, terminology, dental lab duties, management, and dental techniques—because the more you know about the dental profession, the better you can anticipate needs within your office. 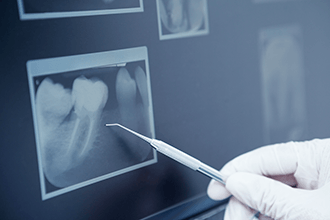 One final aspect of the Dental Assistant program is the medical externship—a term that raises eyebrows on occasion. Most people are familiar with internships—paid and unpaid—but an “externship” isn’t a term you hear every day. 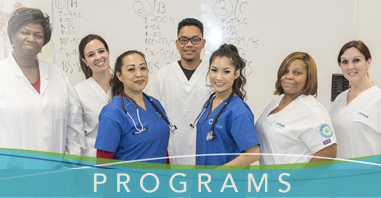 So to get everyone on the same page, we’ve compiled some points that explain the difference between the two educational programs. rking, an externship typically involves job shadowing—your opportunity to follow a medical professional and observe them in their day-to-day duties. You can ask questions, explore, and observe—rounding out your classroom knowledge with real life application. Internships are sometimes paid, sometimes unpaid, and sometimes, employers find little ways to help their interns make ends meet aside from a paycheck. Externships, on the other hand, are short bursts of exposure to days in the life of medical professionals, and typically don’t offer any sort of pay or stipend. An internship generally requires participation for long periods of time. Some can even last up to a year or longer. An externship is much, much shorter. The advantage to shorter experiences is that students can have multiple externships within their program, opening up more and more opportunities to learn from professionals in the field. And with the Unitek College dental assistant program only spanning as little as nine months, time efficiency is everything. Internships, for the most part, are designed to fill positions within a company. If the managers like what they see from a student, they will do what they can to keep that student around after graduation—which is why most internships take place in the final semesters of a student’s degree. Externships are designed to give students experience and insight into the field as a whole, not just one company, and so by design aren’t designed to transition into jobs. However, because students get greater exposure to industry professionals through externships, these educational moments can lead to future opportunities as students network, explore multiple practices, and make personal connections. https://www.unitekcollege.edu/wp-content/uploads/2015/06/blog-da-xray.png 220 330 Unitek College https://www.unitekcollege.edu/wp-content/uploads/2017/07/unitek-college-logo-01.svg Unitek College2015-06-09 01:01:302017-07-26 01:19:54Internship versus Externship: What’s the Difference?